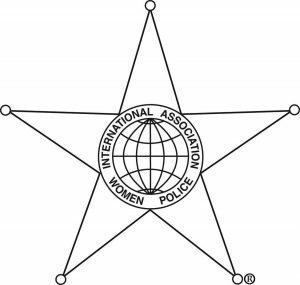 In 1981 Anchorage Police Department Corporal Shirley (Warner) Gifford attended her first annual training conference for the International Association of Women Police held in Portland, Oregon. After attending the next couple of conferences she was impressed with the caliber of training, as well as the camaraderie with and among other women police from around the world. In 1984 after seeking the approval of her administration Shirley and several other female officers from Alaska attended the 1984 IAWP conference in Dearborn, Michigan in an effort for Alaska to be selected as the 1985 site. After being outfitted with the various “Wild About Anchorage” costumes and supplied with beautiful slides of Alaska from the Anchorage Convention and Visitors Bureau, Lead by Alaska State Trooper Fish and Wildlife Protection Trooper Donna Edmonds, in uniform, Officers Anne Newell, Margaret Borrecco, Michelle Bales and Shirley Warner donned the costumes for the “Wild About Anchorage” skit and won the bid for Alaska. It was during this planning that Anchorage Public Safety Commissioner, John Franklin (now deceased) offered to approach the Anchorage Assembly for an appropriation of $25,000, with the stipulation that $8,000 of the proceeds would be held back in order to start a statewide women police organization. That money was held in an account all the way up until 1997 when Shirley and several of her colleagues finally took the steps to officially institute the Women Police of Alaska (WPA). The time was past due and could no longer be postponed, not with Shirley and Cindy Moore co-chairing the organization of the 1998 IAWP annual training conference. Shirley retired as the Captain of Detectives in 1997 when she was appointed to the Chief of Police position for the Soldotna Police Department. Initially Shirley encouraged the appointment of Sgt. Lisa Preston as the first president of the WPA, however with just 5 weeks into the job police department internal pressure forced Lisa to step down. Shirley assumed the role as the first official president.